On the final day of our celebration of McNaught-E November, below you’ll find excerpts from two of the fourteen Judith McNaught titles newly available in E-Book format. Each E-Book will contain original, new content (a letter) from Judith McNaught. 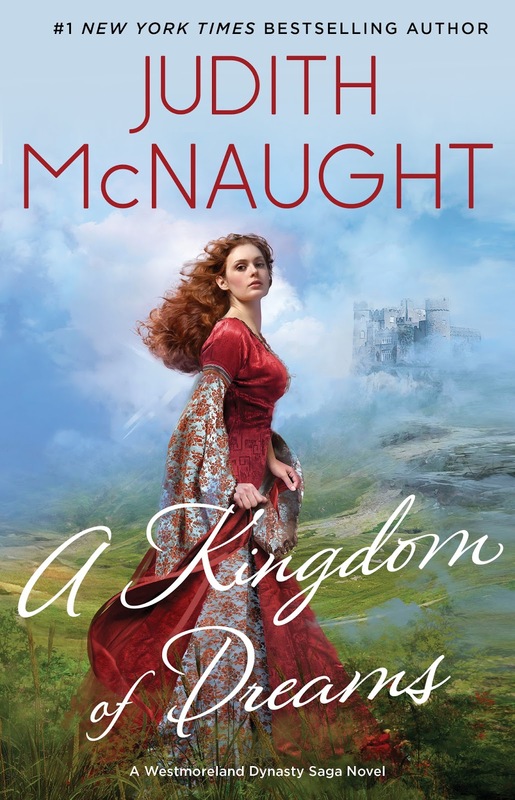 To celebrate McNaught-E November and the release of new material from Judith McNaught, here is an excerpt for A Kingdom of Dreams ($7.99). 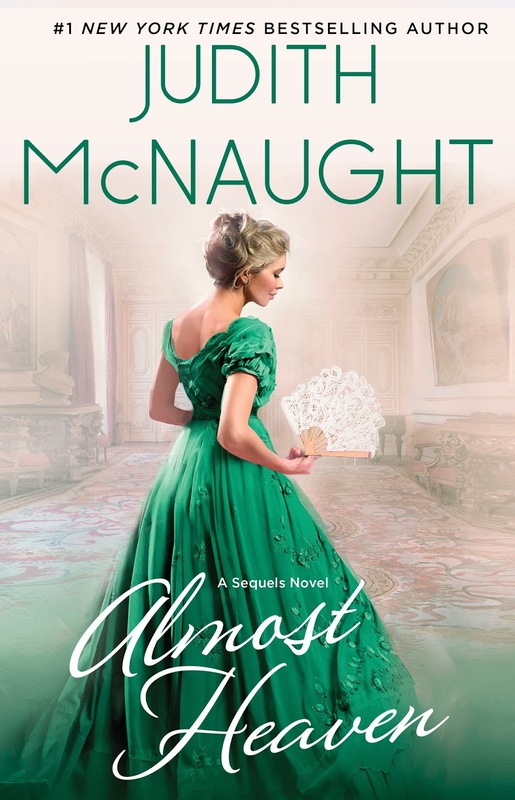 Here is an excerpt for Almost Heaven ($7.99). “I can’t!” she cried, fighting to recover her calm. Despite Ian’s resolution not to give a damn what her problems were, he was a little unnerved by her visible fright and by her description of her uncle as “harsh.” Based on her behavior two years ago, he had no doubt Elizabeth Cameron had done much to earn a well-deserved beating from her unfortunate guardian. Even so, Ian had no wish to be the cause of the old man laying a strap to that smooth white skin of hers. What had happened between them was folly on his part, but it had been over long ago. He was about to wed a beautiful, sensual woman who wanted him and who suited him perfectly. Why should he treat Elizabeth as if he harbored any feelings for her, including anger? With Ian standing beside her Elizabeth surveyed the eggs and cheese and bread, and then the stove. “I shall fix something right up,” she promised with a smile that concealed her uncertainty. “Are you sure you’re up to the challenge?” Ian asked, but she seemed so eager, and her smile was so disarming, that he almost believed she knew how to cook. “I shall prevail, you’ll see,” she told him brightly, reaching for a wide cloth and tying it around her narrow waist. Her glance was so jaunty that Ian turned around to keep himself from grinning at her. She was obviously determined to attack the project with vigor and determination, and he was equally determined not to discourage her efforts. “You do that,” he said, and he left her alone at the stove. An hour later, her brow damp with perspiration, Elizabeth grabbed the skillet, burned her hand, and yelped as she snatched a cloth to use on the handle. She arranged the bacon on a platter and then debated what to do with the ten inch biscuit that had actually been four small biscuits when she’d placed the pan in the oven. Deciding not to break it into irregular chunks, she placed the entire biscuit neatly in the center of the bacon and carried the platter over to the table, where Ian had just seated himself. Returning to the stove, she tried to dig the eggs out of the skillet, but they wouldn’t come loose, so she brought the skillet and spatula to the table. “I—I thought you might like to serve,” she offered formally, to hide her growing trepidation over the things she had prepared. “Certainly,” Ian replied, accepting the honor with the same grave formality with which she’d offered it; then he looked expectantly at the skillet. “What have we here?’ he inquired sociably. When he picked up the spatula Elizabeth pinned a bright, optimistic smile on her face and watched as he first tried to lift, and then began trying to pry the stuck eggs from the skillet. “They’re stuck,” she explained needlessly. “No, they’re bonded,” he corrected, but at least he didn’t sound angry. After another few moments he finally managed to pry a strip loose, and he placed it on her plate. A few moments more and he was able to gouge another piece loose, which he placed on his own plate. In keeping with the agreed-upon truce they both began observing all the polite table rituals with scrupulous care. First Ian offered the platter of bacon with the biscuit centerpiece to Elizabeth. “Thank you,” she said, choosing two black strips of bacon. “It’s a biscuit,” Elizabeth informed him. “I call it a—a pan biscuit,” Elizabeth fabricated hastily. Separately they surveyed their individual plates, trying to decide which item was most likely to be edible. They arrived at the same conclusion at the same moment; both of them picked up a strip of bacon and bit into it. Noisy crunching and cracking sounds ensued—like those of a large tree breaking in half and falling. Carefully avoiding each other’s eyes, they continued crunching away until they’d both eaten all the bacon on their plates. That finished, Elizabeth summoned her courage and took a dainty bite of egg. The egg tasted like tough, salted wrapping paper, but Elizabeth chewed manfully on it, her stomach churning with humiliation and a lump of tears starting to swell in her throat. She expected some scathing comment at any moment from her companion, and the more politely he continued eating, the more she wished he’d revert to his usual unpleasant self so that she’d at least have the defense of anger. Lately everything that happened to her was humiliating, and her pride and confidence were in tatters. Leaving the egg unfinished, she put down her fork and tried the biscuit. After several seconds of attempting to break a piece off with her fingers she picked up her knife and sawed away at it. A brown piece finally broke loose; she lifted it to her mouth and bit—but it was so tough her teeth only made grooves in the surface. Across the table she felt Ian’s eyes on her, and the urge to weep doubled. “Would you like some coffee?” she asked in a suffocated little voice. Relieved to have a moment to compose herself, Elizabeth arose and went to the stove, but her eyes blurred with tears as she blindly filled a mug with freshly brewed coffee. She brought it over to him, then sat down again. Thinking perhaps he hadn’t found it so bad as she had, Elizabeth hesitantly raised her eyes to his. “I haven’t had a great deal of experience with cooking,” she admitted in a small voice. She watched him take a mouthful of coffee, saw his eyes widen with shock—and he began to chew the coffee. Still chewing, Ian watched her flee from the house, then he gratefully got rid of the mouthful of coffee grounds. Elizabeth’s breakfast had cured Ian’s hunger, in fact, the idea of ever eating again made his stomach chum as he started for the bam to check on Mayhem’s injury. He was partway there when he saw her off to the left, sitting on the hillside amid the bluebells, her arms wrapped around her knees, her forehead resting atop them. Even with her hair shining like newly minted gold in the sun, she looked like a picture of heartbreaking dejection. He started to turn away and leave her to moody privacy; then, with a sigh of irritation, he changed his mind and started down the hill toward her. “I wasn’t crying over that,” she said, feeling sheepish and bewildered. A snowy handkerchief appeared before her face, and Elizabeth accepted it, dabbing at her wet cheeks. She gazed straight ahead, her eyes focused on the surrounding hills splashed with bluebells and hawthorn, the handkerchief clenched in her hand. “I was crying for my own ineptitude, and for my inability to control my life,” she admitted.